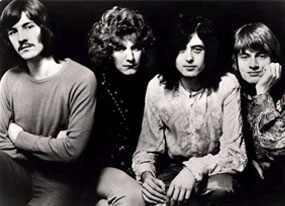 LedZep to get back together? I’ll believe it when I see it. This has been a rumor for the last 20 years! The E! network seems to think it will happen….. we’ll see….. The surviving members of Led Zeppelin said Wednesday that they would reunite for a one-off comeback concert in memory of Atlantic Records founder Ahmet Ertegun. Robert Plant, Jimmy Page and John Paul Jones will perform together for the first time in 19 years on Nov. 26 at London’s O2 Arena, promoters said. John Bonham’s son, Jason, will sit in for his late father on the drums.